When the weather warms up, so do the wilderness calls. Members of Washoe County’s Search and Rescue Team know first-hand that it doesn’t matter how much experience you have, if you recreate in the wilderness you run the risk of getting hopelessly and helplessly turned around at some point, suddenly and unexpectedly finding yourself in a life-threatening situation. 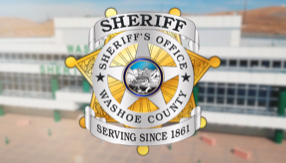 “The most important thing is to accept that it can happen to you and be prepared,” said Brian Jacobsen, President of the all-volunteer Washoe County Search and Rescue Inc. When you do discover that you are lost, stay put and don’t hesitate to ask for help. “Wrong on all counts! The reason Search and Rescue volunteers do what they do is because they want to successfully aid people in trouble. The sooner you call us, the sooner we can get to you,” Jacobsen added. Tell a trusted person where you are going and when you’ll be back. Make sure that person knows not to hesitate to call for help if they haven’t heard from you by the pre-arranged time. Shorter days and colder nights do not allow time for second-guessing. Bring proper clothing. Even if you think you won’t need it, if there is a sudden change in the weather or unexpected change in plans, you’ll need to keep as dry and warm as possible until help arrives. Bring a whistle and a light. Items like these make it much easier to find you in the wilderness. Pack extra food and water. Make sure your cell phone is fully charged. Cell phones can be a great tool, but realistically there are many areas of wilderness where reception is impossible. An affordable, satellite-based locator device is more reliable and accurate. Hike with a buddy, never hike alone. This is a transitional season. Stay up to date on weather forecasts and keep in mind that conditions my change dramatically based on location, elevation and time of day.